Natural energy to the MAXIMUM level. It enhances the libido and helps to combat the erectile dysfunction. Ginseng with lecithin. Provides 200mg of Ginseng and 30mg of lecithin per daily dose. Panax Ginseng extract with Gingenosides. Ginseng, Royal Jelly, and Licorice. 500g Fresh Royal Jelly Ginseng Vit.C. It provides energy and vitality by regulating the testosterone levels. Energizing and invigorating capabilities. Natural aphrodisiac. Ginseng and Royal Jelly in liquid mono-doses. Improved formula with Vitamin C.
Panax Ginseng root extract to boost energy and strengthen the immune system. Male sexual stimulant. Natural ingredients. Natural energizer with Ginseng and Royal Jelly. Panax Ginseng, Asian Ginseng or Ginseng is a small plant that belongs to the Araliacear family, whose root is used traditionally in Chinese medicine. It mainly grows in the cold areas of the mountains of China, Korea, Russia, Japan, Mexico and Canada. It has many medicinal properties that are beneficial for our health. The ginseng plant is a dietary supplement with effective properties in reducing fatigue and stress, as well as for slowing down the ageing process. Ginseng has many beneficial health properties. It is a nervous system and vasomotor stimulant. It acts as a revitalising agent which also has interesting depurative, hypoglycaemic, antianemic and even hypotensive properties. Panax ginseng is an adaptogenic substance, in other words it has the ability to increase the body's resistance to adverse physical influences and emotional stress. This plant is a great natural remedy for combatting fatigue and increasing mental performance. It also helps to fight stress, slow down the process of ageing and calm allergies. Ginseng is also a tonic when it comes to increasing sexual desire. Panax ginseng is a plant originating from North America and central Asia, but is now cultivated around the world. Thanks to its multiple properties, ginseng root is generally used for the manufacture of nutritional and health products, although in some cases the leaves are also used. It belongs to a large group of medicinal plants. Ginseng is a nutritional supplement used around the world for its benefits and medicinal properties. The ginseng plant has been used by the Chinese for more than five thousand years for its health benefits. Ginseng is full of amino acids, vitamins of the B group and other valuable vital substances, so it can provide multiple health benefits. Ginseng root is used to increase libido and energy, as well as in the treatment of type II diabetes. 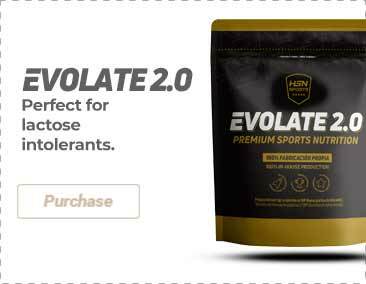 It is also used by athletes to increase resistance and to stimulate the functioning of the immune system. 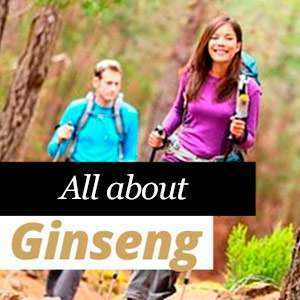 Who is ginseng useful for? One of the main benefits of ginseng is in avoiding fatigue and providing energy. Ginseng offers a remedy against energy depletion, keeping us awake in an alert state and is very effective against excessive daytime sleepiness. A ginseng supplement can be a great substitute for stimulants such as caffeine since it has the capacity of fighting fatigue and increasing resistance, but without the adverse effects. It is best taken long before bedtime. Feeling relaxed and getting a good night's sleep have a positive impact on everyday life, which is why ginseng can improve mood and be the perfect ally in combatting lack of motivation and perseverance. Physical and intellectual ability decrease as you get older. This leads to a deterioration in concentration and can affect learning capacity and memory. Nutrients and active ingredients containing ginseng help people suffering from a decline in concentration and memory. If you take ginseng regularly for two months you will immediately notice its effects. Many students used ginseng before exams to increase memory, thanks to its brain-stimulating properties. Several clinical studies have shown that ginseng promotes the improved function of the immune system, both in the case of older people as well as for those who are young and fragile. Ginseng is very useful whenever the immune system is affected by stress, lack of sleep, fatigue, changes in temperature, etc. We must strengthen our immune system in the case of disease in particular and ginseng can help with a faster recovery. There is also evidence that ginseng-based supplements can prevent the onset of colds. Each year the number of people suffering from allergies to natural or man-made synthetic substances continues to grow. Many people suffer from hay fever every spring. This can have serious consequences, from discomfort, to loss of work and the reduction of social relationships. Ginseng and a placebo were delivered to rhinitis (hay fever) patients as part of a four-week clinical study. The study showed that ginseng can relieve the typical symptoms of hay fever: lack of sleep and pain in the eyes and nose. It showed that ginseng is useful for the treatment of allergies, without a doubt. Ginseng is completely safe. Side effects are rare if taken in the recommended doses. Too high a dosage can cause diarrhoea. Some people have experienced anxiety or insomnia by using this product, but this can be solved by reducing the dose, which will immediately reduce these side effects. There is no risk of dependency with ginseng, so it can be taken for a long period of time with no risk. Panax ginseng or Asian ginseng can not be used by pregnant or lactating women, since it can have adverse effects on the foetus or baby. Those taking anticoagulants should not take ginseng, since it can affect blood pressure. The same goes for people who suffer from heart problems. Taking other stimulants along with ginseng is not advisable as it already provides enough energy by itself. However, ginseng can be safely combined with turmeric, garlic and guarana to reinforce its positive effects. Chinese ginseng, Asian ginseng, Korean ginseng, American ginseng, Canadian ginseng, panax ginseng, red ginseng, oriental ginseng, white ginseng, hong shen, fresh ginseng, wild ginseng, Asian ginseng root, panax quinquefolius, anchi ginseng.